Current and prospective Kellogg Community College students can enter a drawing for a chance to win three free credit hours at KCC’s Holiday Enrollment Event this month on campus. 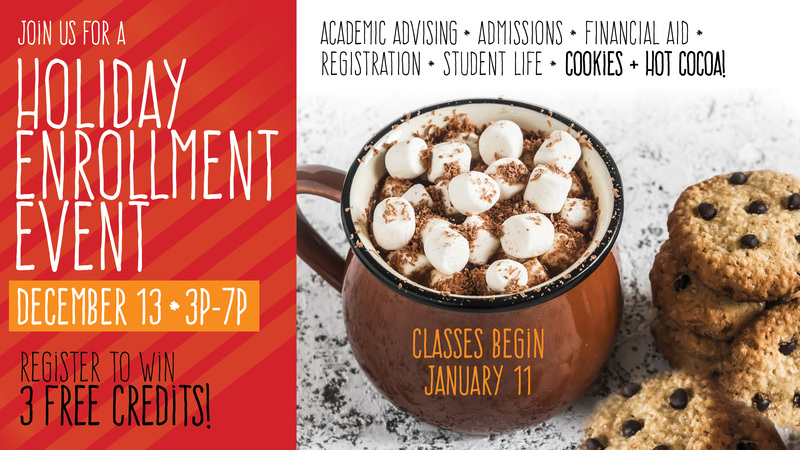 Additionally, free cookies and hot cocoa will be available in the Student Life office, where they’ll also be showing a holiday movie. KCC Registrar Colleen Wright said the goal of the event is to help students get ready for the start of the spring semester Jan. 11. For the free-credit-hours drawing, Wright said there will be entry slips available in each department. The drawing will be held Dec. 14.